Support DocumentationAdministrator FAQHow do I renew a user? 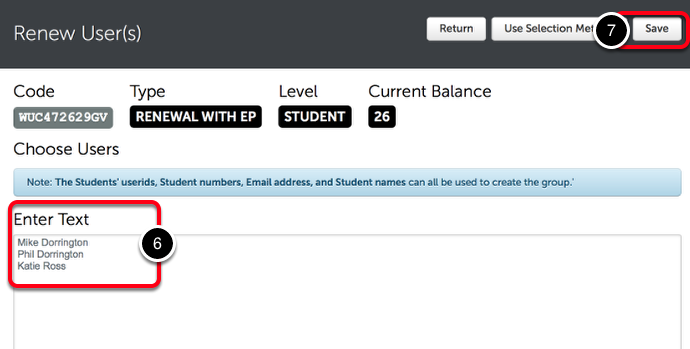 This lesson will teach you how to renew expired users in Chalk & Wire. Any type of account can be renewed in this way if your institution's Chalk & Wire site has a positive balance of Bulk Renewal Codes with the appropriate privilege level. To order new Bulk Renewal Codes, please email us to make a request. If you are a student whom has purchased an individual Renewal Code from your book store, please refer to the Renew Your Account help page. 4. Locate the appropriate code. 5. Click anywhere on the code's row to reveal its options. Select Renew Users. 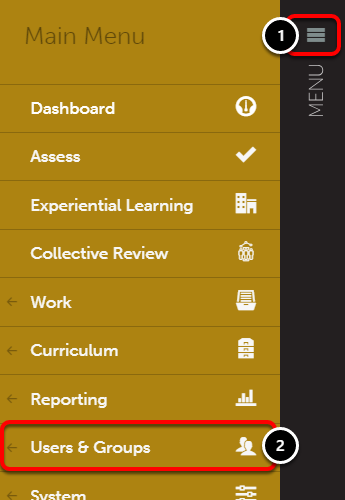 Using the buttons in the top, right of the Renew User(s) screen, select how you would like to proceed. Use Selection Method: Provides you with a departmental list of users for you to select users to renew. 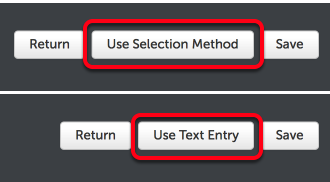 Use Text Entry Method: Provides you with a text-entry box for you to enter the name of users to renew. 6. Enter the names of the user(s) that you would like to renew. Each user name should appear on a new line. 6. Select which type of user(s) you would like to select from: All Expired Users, All Users, or Users Expired by a Certain Date. 7. Select the Department that contains the User(s) that you would like to renew. 8. 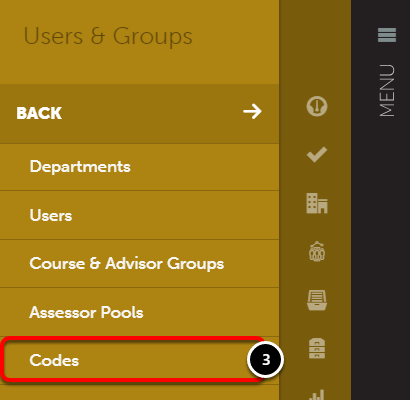 Locate the User(s) in the Members column and select them by clicking on them. Once highlighted in blue, click Add Selected. 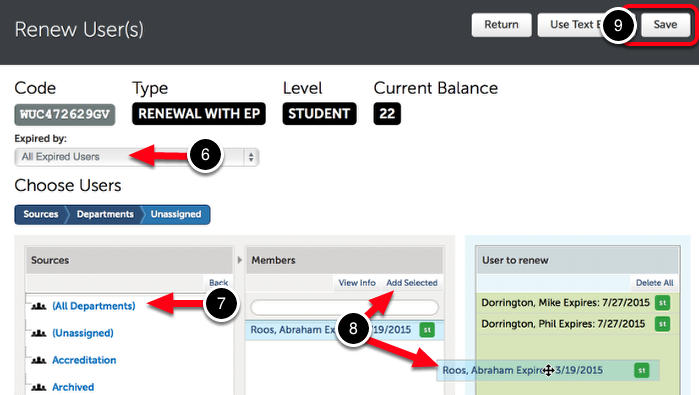 Alternatively, Drag-and-Drop each user into the Users to Renew column. Regardless of the renewal method that you chose, a confirmation message will appear in green to indicate the number of users that were renewed. Prev: How do I add new users? Next: How can I check to see if a code has been used?